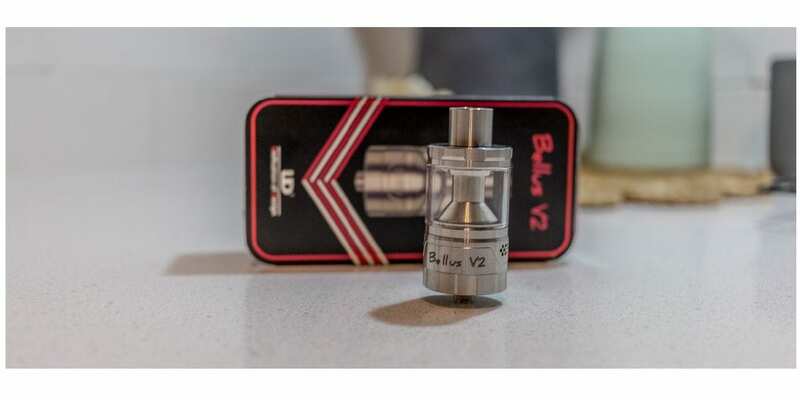 UD Bellus V2 Atomizer Review | A Step Up From the Original - Daily Vaping Deals & The Best Vape Product Reviews at Vaping Cheap! UD have been manufacturing atomizers for years now, since vaping became popular and mainstream. 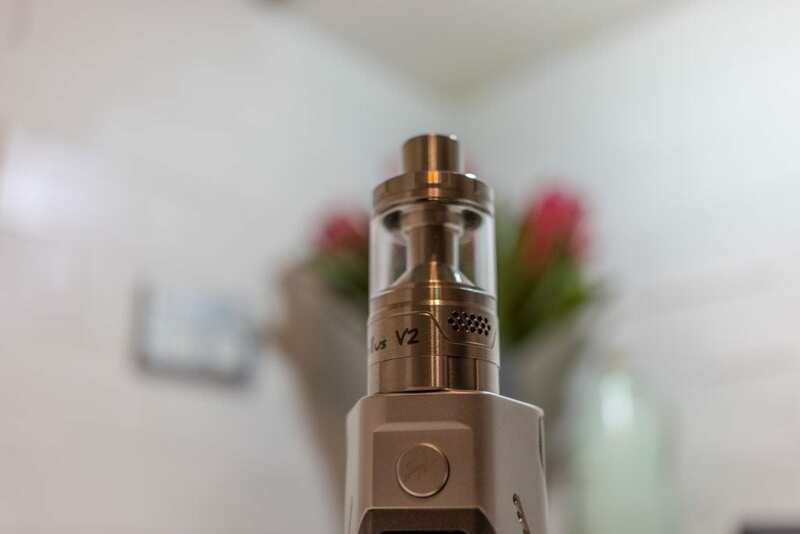 The original Bellus RTA was an evolution of the company’s design from such tanks as the AGA series of atomizers. The Bellus RTA was a very popular atomizer when it was released and I know some people who still use one now. UD have followed up with the Bellus V2, which follows the original design but with some advancements. Due to the fact that this tank has not changed in it’s design, this article will focus on the improvements and the differences between the original. I would like to thank GearBest for sending the Bellus V2 to us for the purposes of this review. Click Here to Check out the Bellus V2 by UD! The packaging on the Bellus V2 is the same as the original version. A clear, hard plastic case with a black sleeve around it, which has a product picture on the front and standard information on the rear. Inside the plastic case, the tank and the spare parts sit in a plastic tray, which keep the contents safe in transit. Underneath the tray you will find the warranty, instructions and the 2 coils. There was a slight hint of machine oil throughout the Bellus V2, so I recommend giving it a good wash before you start using it. I also noticed that the threads for the bottom ring were a little sharp, hopefully they will wear down with some use. Overall build quality is good and the Bellus V2 definitely looks good in a bigger form factor. The Bellus V2 breaks down into 8 parts for ease of building and cleaning. I would have to say that the V2 is easier to build on because of the bigger deck and the fact that it now has four post holes. This means that it is easier to install your coils as each leg has its own hole to secure into. 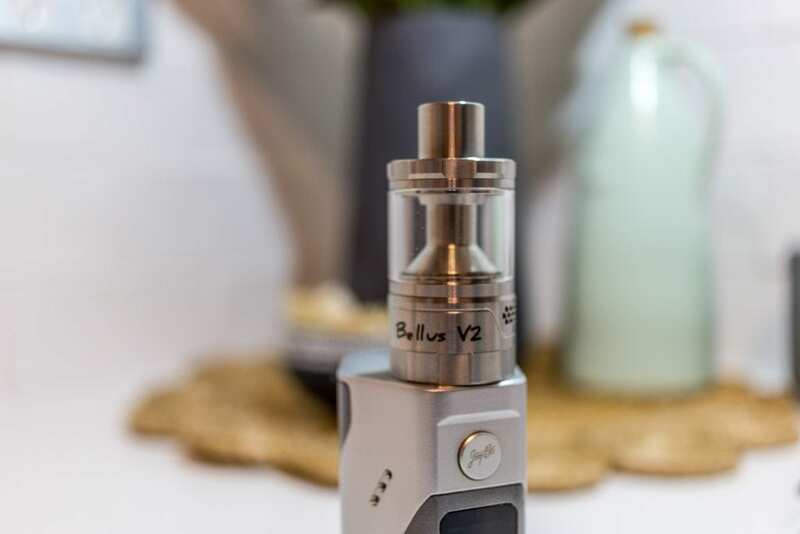 The fact that the post holes and the deck is bigger means that you are able to run much bigger coil builds in the Bellus V2. You can get away with running claptons or fancy wire and this should inherently give better performance straight off the bat. The larger fill ports are also handy due to being easier to fill than the original. This means that you can fill the reservoir with a dropper bottle if you wish or use your normal bottle tips if that is what you prefer. Be sure to close off the airflow when you fill up the reservoir as any air that gets taken in will contribute to leaking. Wicking still needs to be done carefully on the Bellus V2 as it can be prone to leaking if there is not enough wick in the juice ports. There is a fine line between choking the coils and not leaving enough wick in the juice ports. If there is too little wick in the ports, it will leak out of the airflow. Getting this right will come down to trial and error, just as it was with the original RTA. I have to say that when wicked and built right, the Bellus V2 really does shine as an RTA. It does, however, really come down to how you set it up though. Given that I used the original for quite some time, I was familiar with its quirks and this transposed over the the V2. I tried the Bellus V2 with a variety of coil builds and wire setups. I have to say that it was really nice with fused claptons installed. The flavor was nice and condensed and the vapor was rich and thick. It works well in TC mode with SS316L, which is comforting to know. For a more paired back restricted lung hit or MTL vape, traditional spaced coils worked well too – obviously with the airflow backed off somewhat. Airflow on the Bellus V2 is about the same as the original. It adjusts the same way and I would recommend adding a tiny bit of e-liquid to the o rings on the airflow to aid its turning ability to begin with. The 5ml juice capacity is handy, as when you are running larger builds you will run out of juice quickly. The stainless coated delrin drip tip does aid in reducing the heat and stops your lips from being burned. This was a definite con on the original and I am glad to see UD have done something about that. Overall a really nice RTA to vape and build on, that rewards you with stellar flavor and cloud production if you build it well. Whilst not as forgiving as some RTAs to get your build right, once you do this tank will certainly put out. If this is your first time building on a Bellus, then I recommend to be patient and keep trying and tweaking things until you get it right. Once you do, you will certainly know based off the flavor and vapor production it gives. I have to say that the original Bellus taught me lots of lessons in regards to building and wicking, so if you can get this right you will have no problems with other RTAs or rebuildable attys. For the price I think the Bellus V2 is good value for money and it is capable of putting out some really good performance. It looks good and the few things that UD have improved on makes it an even better investment. I have no hesitation in recommending the Bellus V2 if you think it is something you are interested in trying. Hopefully this article has helped you in your quest for your next new RTA. If you have any questions or comments, please leave them below. We always love hearing from our audience.